Please tell me that I'm not the only one who gets tired of hearing "what's for dinner?" It can be so frustrating to work eight plus hours a day and then be greeted with those words, especially if you have no idea what's for dinner. Gooseberry Patch is coming to the rescue again with another cookbook that is geared towards helping busy people put meals on their table as easily as possible. Everyday Simple Suppers is one of those cookbooks that is compiled to inspire those of us who have reached the "uninspired" stage of life - kids, job, kids, homework, kids... Recipes are divided into categories such as one-dish wonders, sizzling skillet suppers, pronto pizza & pasta, super simple sides, short & sweet desserts. I'm particularly fond of cooking skillet meals at the end of the day. Some of the recipes call for cooked chicken. Let me suggest that you pick up a rotisserie chicken to use in these recipes to simplify your life even more. One rotisserie chicken can stretch to provide you with enough meat for two weeknight casseroles. There are plenty of recipes that incorporate other fast-fix meats: boneless pork chops, ground beef, and smoked sausages. This cookbook is a little different than the traditional spiral-bound Gooseberry Patch cookbooks in that it is paperback and the majority of the 260 recipes are accompanied by taste-tempting, full-color photos. While I chose to feature Lemony Pork Piccata with one of my favorite ingredients, capers, I will also be making Stuffed Artichoke Chicken soon. Keeping ingredients such as capers and artichokes in your refrigerator and pantry can turn an ordinary meal into something special. 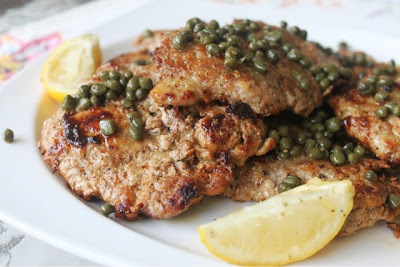 My husband and I love the salty tang of capers. If you haven't tried capers before, this is the perfect recipe to introduce them into your life. Now, is the time to introduce a copy of this cookbook into your life, too. Gooseberry Patch has not only provided me with a review copy of the cookbook, but they have also provided me with a copy to give away to one of my readers. If you're interested in receiving your very own copy of Everyday Simple Suppers, just leave me a comment below letting me know you're interested in winning a copy of the cookbook. Also, leave an e-mail address where I can contact you if you're the winner. Love Gooseberry Patch cookbooks. I'd love to have a copy of this one. This sounds like a really great cookbook! Thank you for the entry! :) Sunday blessings to you and your family! This sounds great . I work 6hrs a day with special needs then home to take care of my father on topof my own family. So this will help out. I love cooking but it's nice to have easy nights to. I have given the Gooseberry books as gifts but never gifted myself. This would be a great one for me for ideas for dinner. I would love this cook book. I am always looking for great meals for my family, and ways to fix meals quick and easy. My daughter recently graduated from college and this would be a great way to get her cooking more. I would love to win this cookbook, simple sounds delicious. Love your site and Gooseberry Patch. Would love to win. Thanks. Just picked up grilling last night. I love all my books and use them all the time. I love to share with others your recipes and recommend your books to others. What a yummy recipe. I will be trying this for sure...and hoping to win your cookbook. 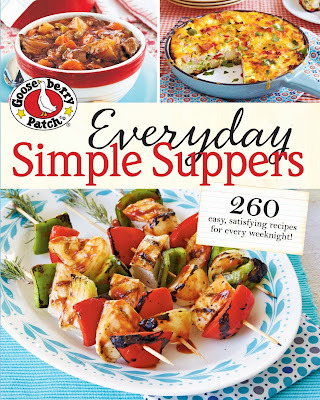 I would love to win a copy of the Gooseberry Patch's "Everyday Simple Suppers". You also did a great review of the new cookbook. 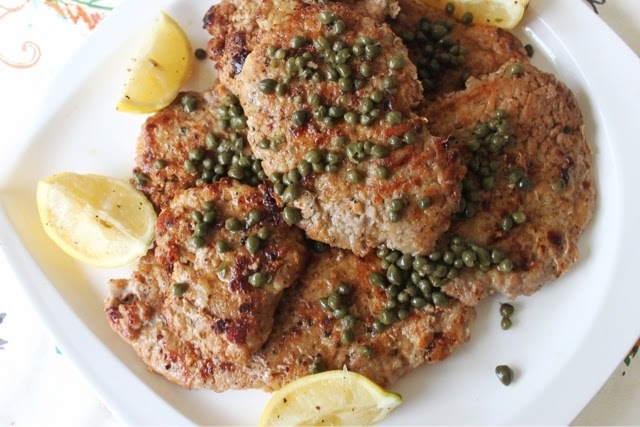 Being of Italian descent, I learned to love ingredients such as capers, anchovies, and herbs. Italy does not have enough land for grazing lots of cattle, so a most of our entrees were pork, chicken,veal, fish, and lots of vegetables. I would love to have a copy of your cookbook! Thank you. Also known as P8triotMom. Who wouldn't want to win a Gooseberry Patch cookbook? Recipes for good simple meals are a must in todays life. I would love to win, Thank You for the chance! I would love this cookbook. After 42 years, I am in a rut and need help. This cookbook looks as though it would have some great new ideas for me. I would love to win it. Oh, how I'd love to win this cookbook! I know Gooseberry Patch's cookbooks are the best and what a great idea they have come up with now!! We're always looking for these kind of recipes! PS my e mail is on my blog! I would love to win a copy of the gooseberry patch cookbook, I have been wanting one for quite some time. I don't have any Gooseberry Patch cookbooks, and would love to win. 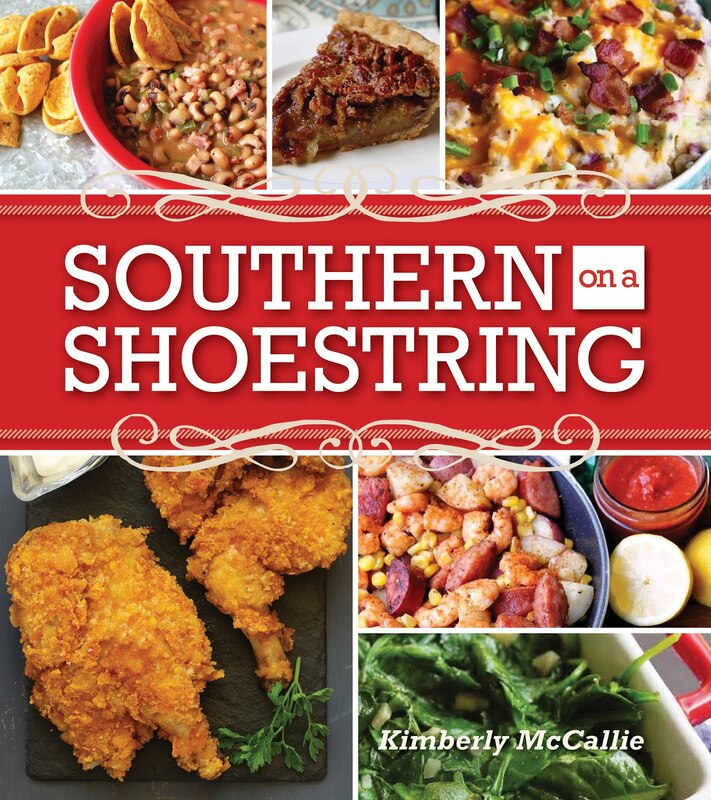 I would love to win this cookbook, yummy recipes and easy to read instructions, from mjs at momanddad00@clear.net! Hi Kim, You have a lovely blog, and I've enjoyed reading about Your Cookbook Review section. This book sounds great, I would really love to win a copy! Thank you, and wish you a wonderful week! I would love to win this cookbook. I love Gooseberry Patch. They are the best. I am very interested in winning this receipe collection I am always looking for new meal ideas to try. My email address ktkats@juno.com. I don't have a hard copy of any of the Gooseberry Patch Cookbooks but sure would love to! I have a few kindle editions buy they are not the full cookbook, just excerpts. I'd love to win this! i need this to start my gooseberry patch collection!!! Thanks for the opportunity to receive a copy! The recipes look so good. Gooseberry Patch Cookbooks are the best. Never have trouble finding something to cook in any of them. Many times in other cookbooks you find the same old recipes but in Gooseberry Patch cookbooks the recipes are different and making one recipe from it draws you back to it for another as they are that good. Would love to have this Everyday Simple Suppers cookbook! I am always looking to try new recipes for my family. The Gooseberry Patch Cookbook looks like it has recipes that my family would enjoy. I would love to win a copy of Everyday Simple Suppers. I would love to win a copy of Everyday Simple Suppers! I almost bought this book last week but it just wasn't in my budget.. I love to read recipe books like a regular book. Would love to win this one. Thanks for the chance.